A)Apache Spark – Scala, Python, Java, etc. D) Apache Pig – Pig Scripting language etc. 3. Bit of knowledge on Hadoop admin part also like Linux environment and some of the basic commands while developing and executing. 4. Nowadays most preferably Spark & Hive developers with high-level experience and huge packages. 1. Coming to Hadoop Administration is a good and respectable job in the IT industry. Whereas, admin is responsible for performing the operational tasks to keep the infrastructure and running jobs. 2. Strong knowledge of the Linux environment. Setting up Cluster and Security authentication like Kerberos and testing the HDFS environment. 3. To provide new user access to Hive, Spark, etc. And cluster maintenance like adding (commissioning) node and removing (decommissioning) nodes. Resolve errors like memory issues, user access issues, etc. D) Pseudo-distributed and Single node cluster setup etc. 5. Review and Managing log files and setting up of XML files. 6. As of now trending and career growth job. 7. Compared to Hadoop developers, Hadoop Admins are getting high salary packages in present marketing. Summary: In the Bigdata environment Hadoop has valuable and trending jobs. And provide huge packages for both Hadoop developers and Hadoop administration. Depends upon skill set will prefer what we need for future growth. C) Cassandra is designed to handle a large amount of data across many commodity servers, providing high availability with no single point if failure. 2. Which of the following are the simplest NoSQL databases in BigData environment? 3) Which of the following is not a NoSQL database? 4) Which of the following is a distributed graph processing framework on top of Spark? 5) Which of the following is leverage of Spark core fast scheduling capability to perform streaming analytics? 8) Which of the following is a basic abstraction of Spark Streaming? 9) In a which cluster manager to do support of Spark? 10) Which of the following is the reason for Spark being faster than MapReduce while execution time? A) It supports different programming languages like Scala, Python, R, and Java. 1. In Spark, a —————– is a read-only collection of objects partitioned across a set of machines that can be rebuilt if a partition is lost. Statement 1: Spark allows you to choose whether you want to persist Resilient Distributed Dataset (RDD) onto the disk or not. Statement 2: Spark also gives you control over how you can partition your Resilient Distributed Datasets (RDDs). Where join operation is used for joining two datasets. When it is called on datasets of type (K, V) and (K, W), it returns a dataset of (K, (V, W)) pairs with all pairs of elements for each key. Output the result of joinrdd, when the following code is run. After completion of Prerequisite set up will go through directly with MapR actual steps for Installation on Linux machine. Powerful and popular command it is used for the list of disk partition tables. Install mapr CLDB file server, Web server, Resource manager, node manager, nfs ,gateway and History server by using above single command. Disk setup in mapr disk. Summary: Above steps are worked for Linux single node cluster for complete MapR Installation with the explanation each and every command. Cognization conducted Hadoop and Spark interview question for experienced persons. 1. What is the future class in Scala programming language? 2.Difference between fold by fold Left or foldRight-in Scala? 4.dF.filter(Id == 3000) how to pass this condition in data frame on values in dynamically? 5. Have you worked on multithreading in Scala and explain? 7.On what basis you will increase the mappers in Apache Sqoop? 8. What will you mention last value while you are importing for the first time in Sqoop? 9. How do you mention date for incremental last modified in Spark? 10. Let’s say you have created the partition for Bengaluru but you loaded Hyderabad data what is the validation we have to do in this case to make sure that there won’t be any errors? 11. How many reducers will be launched in distributed by in Spark? 12. How to delete sqoop job in simple command? 13.In which location sqoop job last value will be stored? 14. What are the default input and output formats in Hive? 15. Can you explain brief idea about distributing cache in Spark with an example? 16. Did you use Kafka/Flume in your project and explain in detail? 17.Difference between Parquet and ORC file formats? 1. Explain your previous project? 2. How do you handle incremental data in apache sqoop? 3. Which Optimization techniques are used in sqoop? 4. What are the different parameters you pass your spark job? 5. In case one task is taking more time how will you handle? 6. What is stages and task in spark and give a real-time scenario? 7.On what basis you set mappers in Sqoop? 8. How will you export the data to Oracle without putting much load in the table? 9. What is column family in Hbase? 11.The number of column families limits for one table? 12. How to schedule Spark jobs in your previous project? 13. Explain Spark architecture with a real-time based scenario? MapR Installation on Amazon Web Service Machine with simple steps for Hadoop environment. Step 1: Login with AWS credentials and then open the root machine. Step 7: edit mar ecosystem repo file. Step 8: edit mapr installer repo files. Step 9: Edit mapr core repo files. Step 11: Search mapr package files. Step 16: search for mapr rpm files by using files grep command. Step 23: Edit second disk information for maprdisk file system. Step 24: Set the configuration server in different zones. Here you will go with your machine ip in web server for mcs..shown below..
After successful installation of MapR distribution, we need to add services like Hive, Sqoop, Spark, Impala etc. Here we are adding Hive service with simple commands in MapR for Hadoop Environment. Step 1: yum install for Hive Mapr. Step 2: To install MySQL server for external Database for multiple users. Step 5: Grant all privileges. Step 6: Flush all privileges. Step 9: export the metastotr with port number. In Cloudera, Distribution Platform is a free version, express, and enterprise edition up to 60 days trial version. Coming to Hortonworks Data Platform completely open source platform for production, developing and testing environment. Then finally MapR distribution platform is a complete enterprise edition but in MapR 3 is free version is available with fewer features to compare to MapR 5 and MapR 7. If you enable firewalls and iptables doesn’t allow some ports so we must and should disable it. NTP is a Network Time Protocol is a networking protocol for time synchronization between computers and packet switched data. Step 4: After that import the Hbase table data from local to HBase table in the destination cluster. We know how to Hbase single table migration then coming to multiple table migration from one cluster to another cluster in simple manner by below steps. Step 2: After that place the hbase -import.sh and hbase-table.txt in the destination cluster. Step 6: Execute the hbase-import.sh in the destination cluster. Summary: I tried in Cloudera Distribute Hadoop environment for Hbase data migration from one cluster to another cluster. For Hbase single table data and multiple table data migration in very simple for Hadoop administrator as well as Hadoop developers. It is the same as Hortonword Distribution also. In Hadoop, Backup mechanism didn’t provide high availability. This system is followed by shaded architecture. The first request from File to Master node then divided into blocksize. It is a continuous process but node 1(slave1) is failed to another node(Slave 2). Replication factor is the process of duplicating the data on the different slave machines to achieve high availability processing. Replication is a Backup mechanism or Failover mechanism or Fault tolerant mechanism. In Hadoop, Replication factor default is 3 times. No need to configure. Replication Factor is also 3. In Hadoop, Minimum Replication factor is 1 time. It is possible for a single node Hadoop cluster. In Hadoop, Maximum Replication factor is 512 times. If 3 minimum replication factor then minimum 3 slave nodes are required. If the replication factor is 10 then we need 10 slave nodes are required. Note: If the configured replication factor is 3 times but using 2 slave machines than actual replication factor is also 2 times. How to configure Replication in Hadoop? It is configured in the hdfs-site.xml file. 1. In Hadoop Replication is only applicable to Hadoop Distributed File System (HDFS) but not for Metadata. 2. Keep One Replication per slave node as per design. 3. 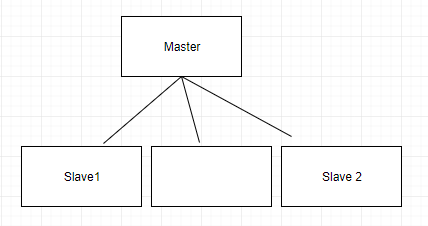 Replication will only happen on Hadoop slave nodes alone but not on Hadoop Master node (because the master node is only for metadata management on its own. It will not maintain the data). Storage only duplicates in Hadoop but not processing because processing us always unique. Summary: In Hadoop, Replication factor is a major role for data backup mechanism in earlier days. Default replication factor always 3 except single node cluster environment.